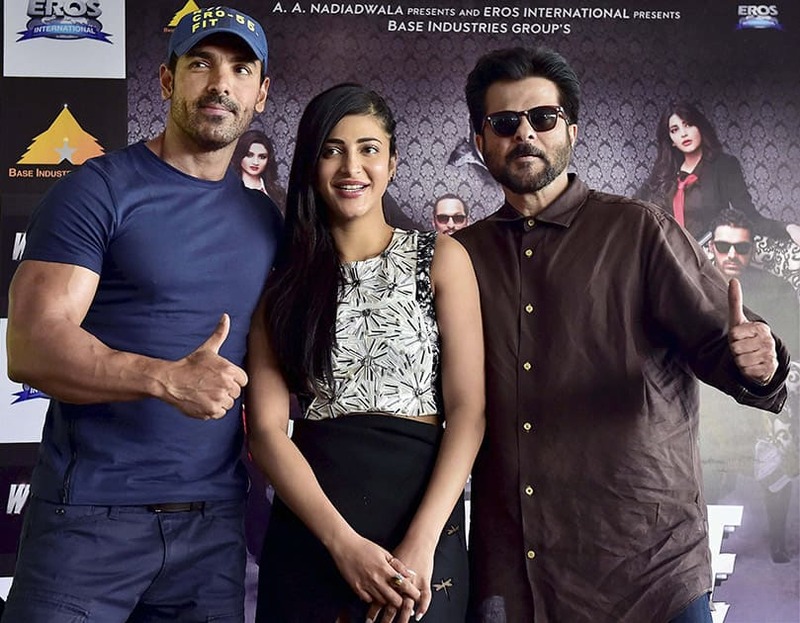 Anil Kapoor, John Abraham and Shruti Hassan at a promotional event for their upcoming film Welcome Back in New Delhi. Bollywood actors Shruti Hassan and Sonakshi Sinha during the promotion of film Welcome Back on the sets of Indian Idol Junior, in Mumbai. 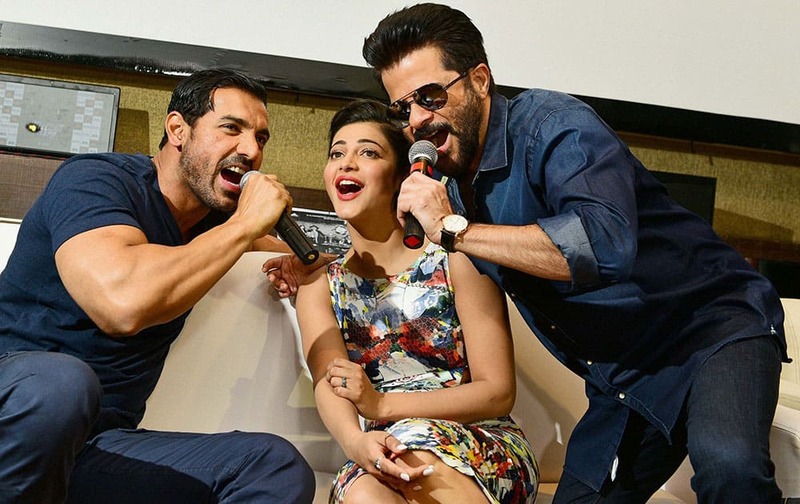 Singer Rihanna attends the "RiRi by Rihanna" fragrance launch at Macy's in the borough of Brooklyn, N.Y.
Bollywood Actors Anil Kapoor, John Abraham and Shruti Haasan during promotion of their upcoming movie Welcome Back, in Ahmedabad. 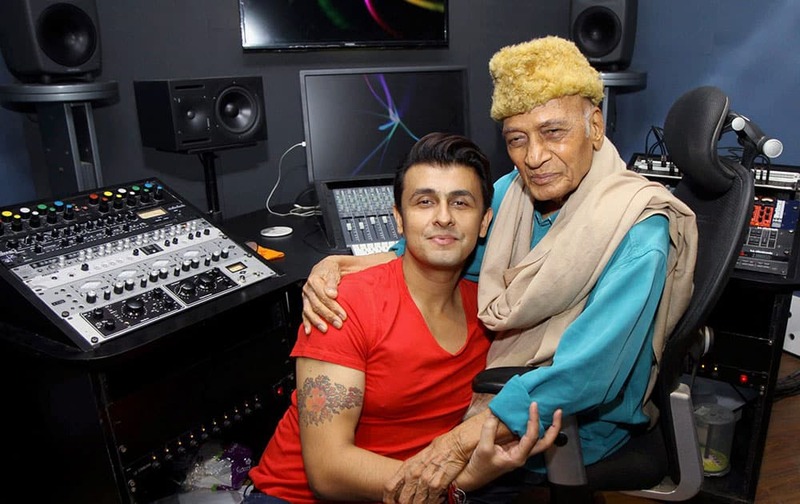 Bollywood singer Sonu Nigam and music director Khayyam at song recording of film Gulam Bandhu in Mumbai.